The Download Window or Download Manager is the part of the interface that provides the user with information about the file or files currently downloading. 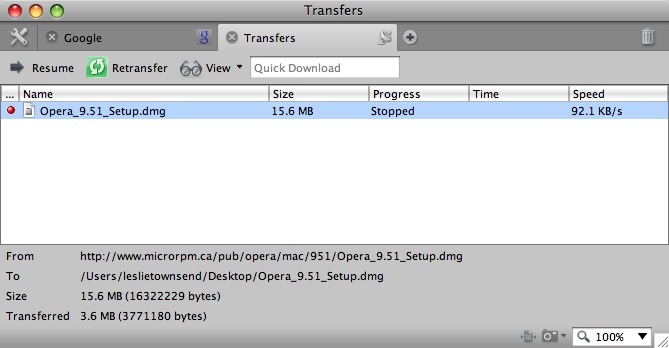 This sort of interface is common in any application that involves downloading (or uploading) multiple files that take more than a few seconds to transmit. The download window you’re most familiar with is almost certainly the one included in your web browser. A typical day’s worth of browsing usually includes the downloading of a some document or data. Despite the download view’s frequent use, it seems to be one of the most neglected parts of the browser. 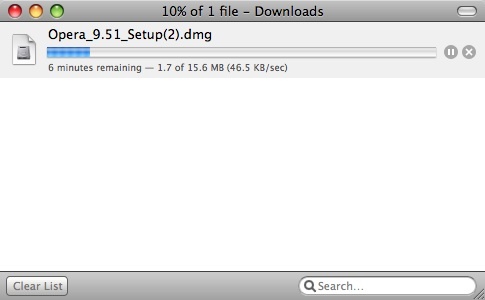 It has improved since early consumer browsers, but the download progress view still manages to trip up in many cases. Admittedly, it’s hardly the sexiest element of a web browser, but it certainly deserves more attention than it receives. Join me on a quick trip in the way back machine to see just how little the download progress view has changed and where I believe it should be headed. If you had multiple downloads going at the same time, not only would they take longer to complete, but your windows taskbar would be overflowing with download progress windows. This was the way browsers worked back then. Both Internet Explorer and Netscape Navigator offered this workflow. Even the first few versions of the Official BitTorrent client worked this way. I put this style of functionality in the Stone Age, but it doesn’t mean that it is a thing of the past. Internet Explore 7, the newest version of the browser STILL believes that one download warrants one window. The concept of a download manager had been around in the stone age in the form of third-party plug-ins. Enterprising individuals quickly realized that a central place to track all those long-running downloads would be a feature Joe Surfer would pay for. It wasn’t until my first encounter with Firefox in 2004, however, that I found my built-in first download manager. The concept of a download manager is straight forward: It is a place to manage all of your downloads. If you were to have multiple downloads running at the same time, you could see the status of all in one window. No more desktop and taskbar clutter (sort of). I mentioned that Firefox was my first browser to include a download manager, but I am unsure if it was the first of all browsers. By the time I switched to OS X in 2005, Safari already sported one. While the aggregation of all the downloads went a long way to simplifying the user experience, it was not yet the perfect user interaction. Download managers still required significant input from the user to manage: Download folders needed to be specified continually, history cleaned, windows lost, found again, and eventually closed. This is where we stand today: On our way, but certainly not there yet. Many of the major players has given the standard download progress view its own twist. Let’s quickly touch on some of the progress each has made. 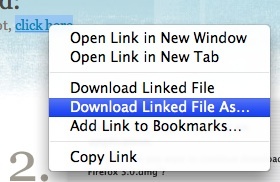 Firefox 3 adds the ability to opt out of opening the download manager window completely when downloading a file. Instead, it shows you a simple summary of progress in the status bar. Alternatively, you can set the window to close automatically when the download is complete. And it allows you to set a default download location. Safari automatically downloads files to the user’s Downloads folder. If the user wants to download to a different directory, they can through the context menu. In OS X 10.5, the Downloads folder is configured as a Stack by default on the desktop. The stack acts as both a download history (by showing the files in cronological order, as well as a notification of completion (as it bounces when a file is added). 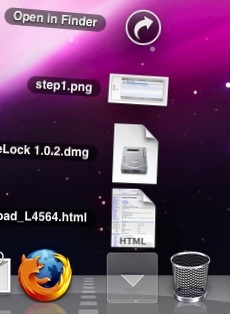 This is the only truely compelling use of OSX’s stacks I’ve come across. Despite leaving IE back in the stone age, it still has a feature that Safari, Firefox, and most BitTorrent applications lack: IE hides the downloads until they’re complete. 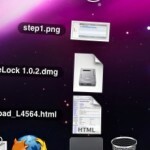 If a file is on your desktop or in your download folder, you can be confident it’s ready for your use. Other browsers tend to leave their half-downloaded unmentionables in plain view. The Age of Satisfaction: Attainable? Convention over configuration – This has been emphasized heavily as a software development paradigm, but it applies to user interface as well: The browser should act on logic defaults without asking, but provide the user with the flexibility to change their mind. A perfect example of this is Safari’s downloading to the Download folder automatically, unless the user choose a different location through the context menu. Get out of the user’s way – Do not open additional windows unless specifically asked to (starting the download is not that request). Provide simple, passive feedback that a download has started and that it has finished. Only showing files that have completed downloading is passive feedback that they are ready to be used. That does it for our summary of the past and present of the download manager in your friend neighbourhood web browser. Next week, I’ll post up a break down of the workflow from a user standpoint and use some of these take-aways to put together a few mocks of my ideal UI. They’re not completed yet, so please feel free to weigh in and influence the result.